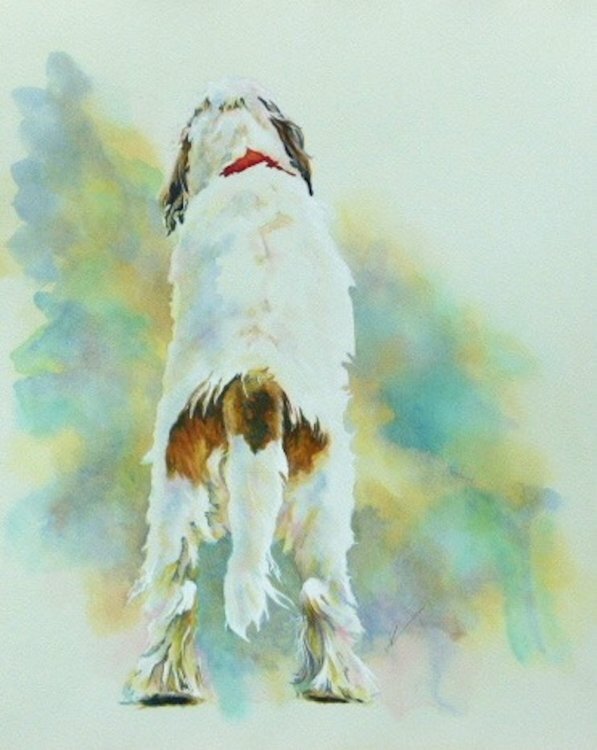 This is an unframed acrylic painting of a Petit Basset Griffon Vendeen on green tinted Bockingford art paper, 48cm x 38cm / 19" x 15". A study of my own pet. I am always fascinated how you can tell the mood or thoughts of your pet simply by looking at the back of their head. Almost as if you can hear their brain ticking! Here Ollie is in his own world simply watching and waiting with no current agenda.